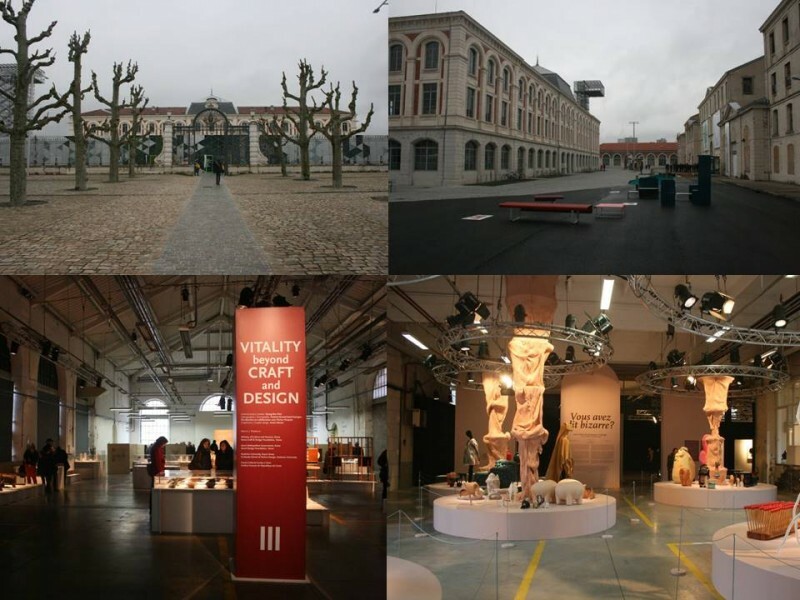 The 9th edition of the International Design Biennale of Saint-Etienne (France) was launched last month (March 12th – April 12th). ASEF culture360 contributor Florent Petit reports. Saint-Etienne, a member of the Creative Cities network set up by the UNESCO, is a 170,000 people city located in the heart of France. It is among a total of eleven cities, the only European city (along with Graz in Austria) that was appointed by UNESCO in the Design category so far. With more than 50 official exhibitions, at least as many other parallel events taking place in the entire urban area and 12 guest curators from all around the world, the Biennale clearly claims its international ambition. The general theme of this new edition, The Experiences of Beauty, has been proposed by French designer and teacher Benjamin Loyauté, who is joint general curator. 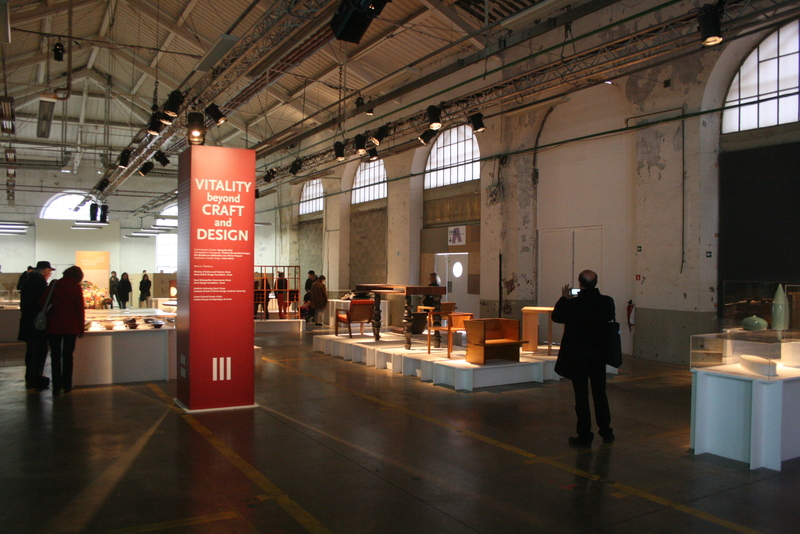 While the vision of a global, standardized, homogenous and industrialized production is becoming one of the most common perceptions of what design is about, the Biennale attempts to show the diversity of design and how it can provide solutions to the societal issues and challenges of our times (pollution, global warming, sustainability, never-ending acceleration of technology, public health…). The plurality of new trends and experiences is expressed by the vision of the curators, designers, craftsmen and artists coming from all parts of Europe and beyond. The heart of the Biennale beats in the Cité du Design, in the Northern part of the city. 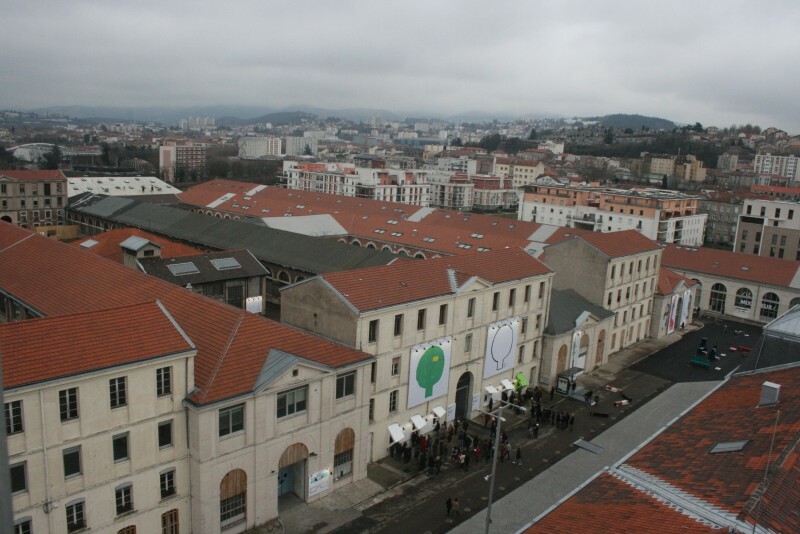 The precincts are a combination of a large 19th century weapons factory, now hosting the Esadse (Ecole supérieure d’art et de design de Saint-Etienne) and a contemporary building (la Platine), inaugurated in 2011 and designed by Italian-German duo architects Fin Geipel and Gilia Andi. The wide number of exhibitions offers a plurality of approaches of what design can be nowadays. Here is an un-exhausted tour of some of the exhibitions showcased. One of the most striking events of the 2015 edition is the Hypervital exhibition curated by Benjamin Loyauté. It stands for design has a problem solving discipline for the main threats of our days and as a valuable answer to such great issues as healing war-torn territories, fighting illness and diseases or promoting sustainable agriculture. One of the most remarkable asset is the low technology mine clearer (a human size ball made of bamboo sticks and recycled plastic disks) created by Afghan designer Massoud Hassani, which is only powered by wind force; or the Polyfloss machine which can turn plastic waste into a material similar to wool, offering the same softness (by Emile De Visscher, Christophe Machet, Audrey Gaulard, et Nick Paget). Also noteworthy is an example of plastic entirely made of seaweed that takes only five hours to melt and disappear in the water, unlike the traditional plastic made from oil, which needs at least five centuries to disintegrate. These examples show how design is linked to environmental issues and human welfare. The No Randomnes exhibition curated by French designer Oscar Lhermitte offers the possibility to get a closer look into common objects we all use or see on a daily basis, without realizing how functional they can be. This part of the Biennale shows and explains why and how a tyre, a safety vest, a pint of beer or Italian pasta are shaped like they are, and despite the fact that they have become so common or banal, how they perfectly fulfil their function. You will for instance learn why Euro bank notes and coins are all different in size, why the buckets used by firemen don’t have a flat bottom or why a spiral is painted on every aircraft ‘s turbine. The Artifact part has now become a recurrent event of the Biennale. Occurring in every edition, it aims to present a selection of projects chosen among 500 international proposals that illustrates the concerns of today’s creators, whether it results in utopian or conceptual ideas or formal and industrial objects. Among many striking proposals, an interesting one is the quite ironical « small pox syndrome » project from Taiwanese designer Pei-Ying Ling. The idea behind it is to allow all the people you will meet to know, thanks to small skin protuberances visible on your forehead or arms, how updated you are regarding all the recommended vaccinations against smallpox . A bit further inside the vast Cité du Design, visitors discover The Essence du Beau (Essence of Beauty) exhibition curated by Sam Baron, former student of the Esadse who proposes a European tour of emerging talents in the design world, with the works of recently graduated students from European design schools. The Musée de la Mine (Saint-Etienne is a former mining town, with the last pit being closed at the beginning of the nineties) hosts Glass is Tomorrow, an exhibition of more than 100 glass pieces which are the result of a collaboration between 30 designers and 6 famous glass manufactures of Europe (Meisenthal in France, Boda in Sweden, Pasabahce Denizli in Turkey). This show stands as an evidence of the flourishing moment that glass-making is having, despite the financial difficulties that several manufactures had to go through in the last decades. This 9th edition also has a significant Asian flavour. The laureates of the 2013 Shenzhen Design Awards for Young Talents will be presented in Saint-Etienne City Hall. Shenzhen is also part of the Creative Cities network and some of the designers are former students of the local design school Esasde. The Biennale shows are spread all over the city. This allows for a wider impact on the general audience and better display of many tools to improve urban environment and living. The Banc d’essai project (Test Bench) displays in public spaces prototypes of benches, garbage bins, ping pong tables, public tables for picnics and many other features that are not yet on the market, some of them being conceived during workshops gathering designers and local steelwork companies. The aim of this is to let users try and test the materials, compiling afterwards an analysis from a pool of experts and designers but also the feedback and suggestions from users before starting any serial production. This project also gives the public the opportunity to vote for the most convincing model, allowing citizens and city goers to pick–up their favourite piece of urban furniture on Saint-Etienne’s city web-site. Another event of the Biennale worth mentioning is the Plein Phares (Turn the Lights On !) project (to be fully enjoyed at night) which presents, in the frame of the Year of Light and Light based technologies, the work of light designers on iconic sites of the town and its region. A special focus is given to the chimney of close by Rive-de-Giers town, emblematic of the industrial heritage of the region. It will be illuminated with a multitude of LEDs and will become a visible landmark, especially from the freeway linking Saint-Etienne with the Lyon metropolis. 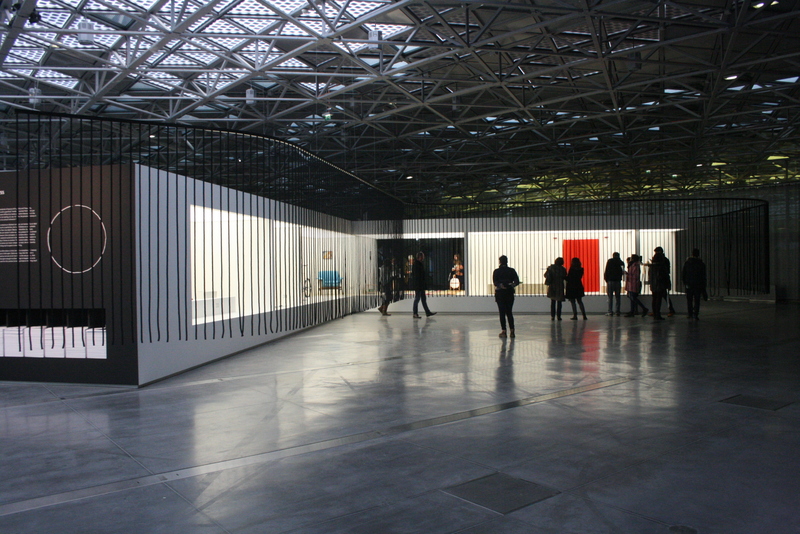 The Cité du Design keeps growing beyond the organisation of the Design Biennales. Several projects are in the making, connecting the industrial world with the research in the field. This coming May, an entire aisle of the former weapons factory will become the home of the innovative and creative societies. The aim is to develop a cluster of SMEs with strong connections with the young talents studying there. The Cité du Design mission is in fact to build bridges and set close partnerships between design and business. 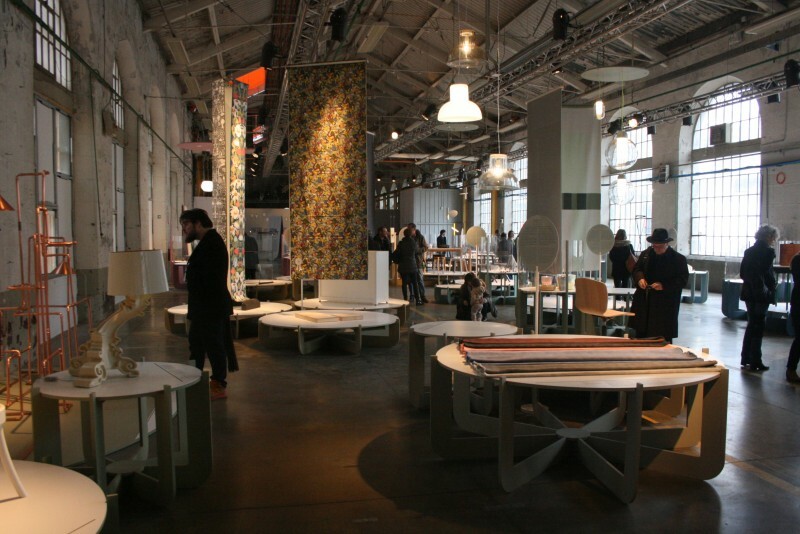 The Biennale Internationale Design Saint-Etienne 2015 provides an additional platform to confirm that design is able to transcend cultural and technological boundaries and can deliver appropriate and sometimes simple solutions to the problems we are facing on a personal and on a global scale. There is no point in setting mass production against craftmanship, local or ancestral traditions against cutting edge technologies, one man’s home solutions against large scale and international initiatives, utopia against rationalism. You can simply take the best of them all, or Design as the perfect tool to imagine and build a better future.